Adam Burish Returning Sooner Than Expected? 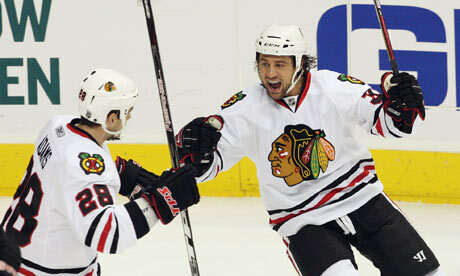 According to a story on ESPNChicago on Thursday evening, Blackhawks forward Adam Burish could return to the lineup immediately after the Olympics. This would give coach Joel Quenneville even more possibilities, and headaches, when putting together a lineup. When Dave Bolland returned, it gave the Blackhawks one forward too many. Since that time, Colin Fraser has sat once and Ben Eager twice. Eager will not play this weekend and missed Tuesday’s game against Dallas because of a lower-body injury. He has missed time already this year because of recurring issues from concussions, and could be a candidate for a trip to the injured reserve if he’s hurting after the Olympic break. 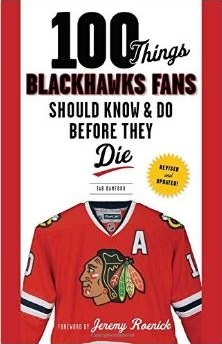 The crowded roster for the Blackhawks, coupled with the need to cut payroll for next year and the team’s chance to go deep into the playoffs, makes the Hawks a likely trade candidate before the March 3 deadline.